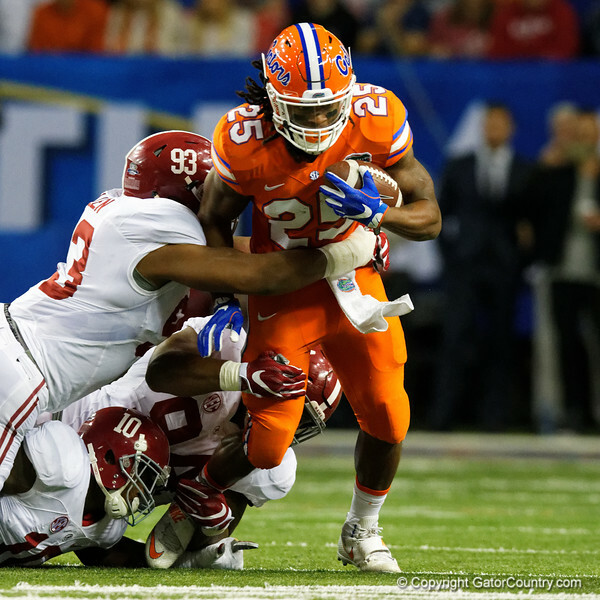 Photos from the first half as the University of Florida Gators trail the Alabama Crimson Tide 33-16 at the Georgia Dome in in the 2016 SEC Championship. December 3rd, 2016. Gator Country photo by David Bowie.